1. Necklace length: 37.4''. Each flower size about 2.4''. 2. Feartures 7 yellow LED lights inside the yellow roses. 3. Power: 3*LR44 batteries included and installed. 4. There are 3 flash modes. Press the on/off button on each ball to start flashing, press again to switch the flash mode. 5. 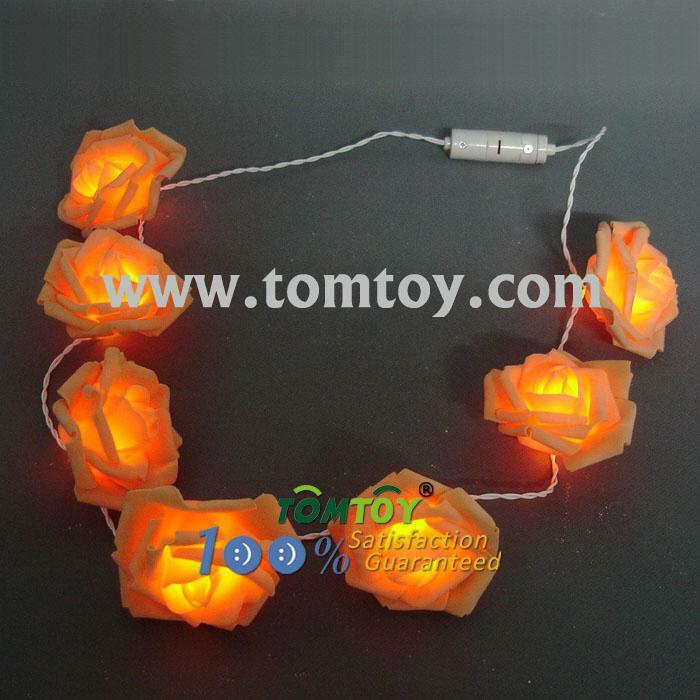 Excellent handmade materials and exquisite workmanship flower necklace ornamented with LED lighted, perfect for Nature Events, Garden Parties, Birthdays and other events.